At Kiosk, we understand the importance of feeling invested in our local community. Since opening shop in Novato in 2012, we’ve created 38 jobs in the area, and we’re proud to count a number of local businesses among our clients. We were particularly proud to be invited to participate in Shop Local Novato, a collaboration between the City of Novato, Novato Chamber of Commerce and the Downtown Novato Business Association. 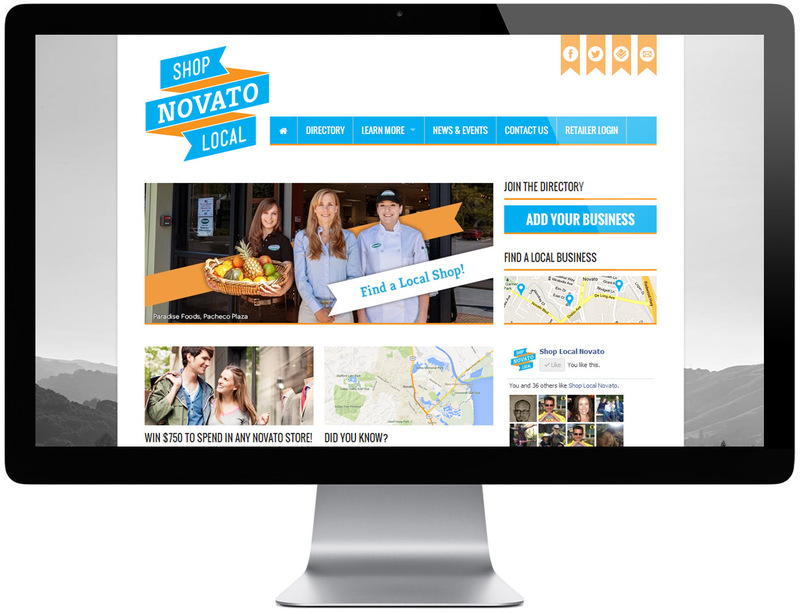 The goal is to encourage Novato residents to support businesses big and small in our town. Kiosk also created point-of-sale collateral that businesses can download from the Shop Local site, and which can be can be seen all over town. In addition we’ve helped create social media extensions for the campaign across Facebook, Twitter and Pinterest. Why are we so passionate about encouraging people to shop local? Because we know there’s a lot of local pride in Novato, and we know that money spent in the community stays in the community, helping to create more jobs, allowing our local businesses to thrive and reducing environmental strain. These are all things Kiosk is proud to take a lead in promoting, alongside our Shop Local partners.